We have provided handy-dandy swatch sheets showing all fabrics used and materials needed for either the heating pad, or the wallhanging. Click one of the images below to download. 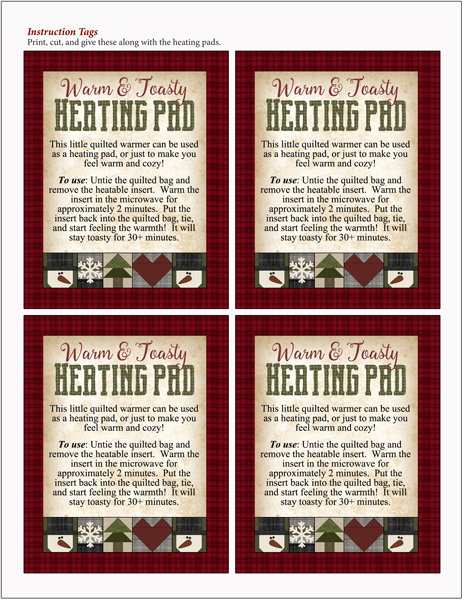 These are some great little printables I made to go along with the Winter Heating Pad Pattern. 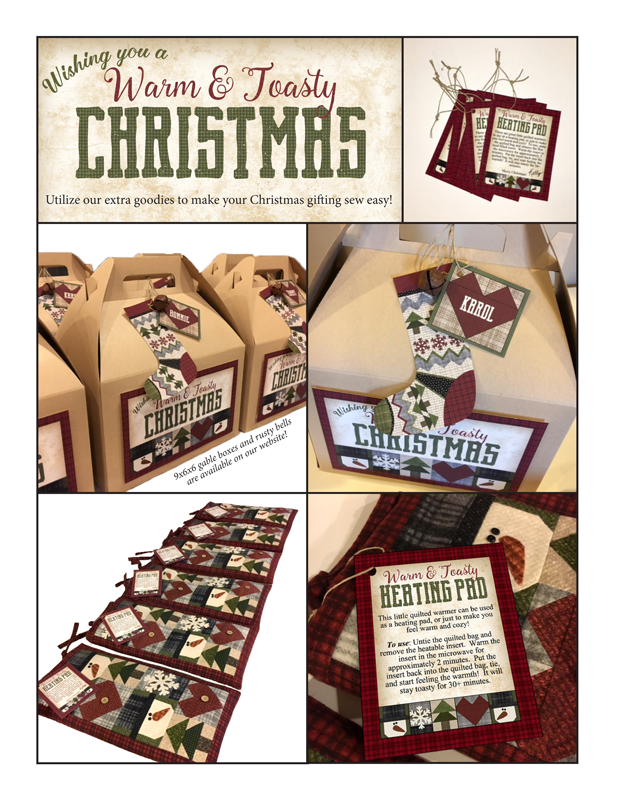 I made these one Christmas to give to the ladies in my family, along with the heating pad that I had designed. The heating pads were such a hit, probably for their usefulness as much as their cuteness! To use the graphics, simply click on the link below, and a pdf containing all 6 pages of graphics should pop up. 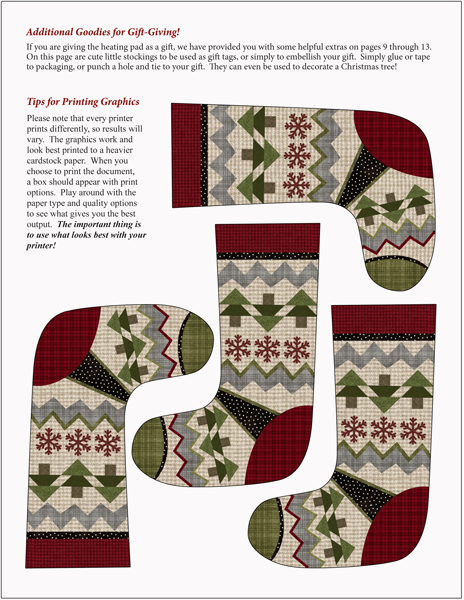 Simply print, cut, and give! 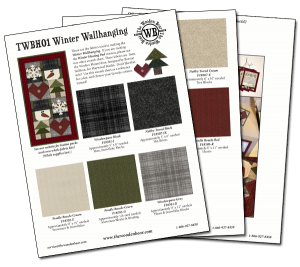 Click Here for Downloadable PDF Containing All Graphics! 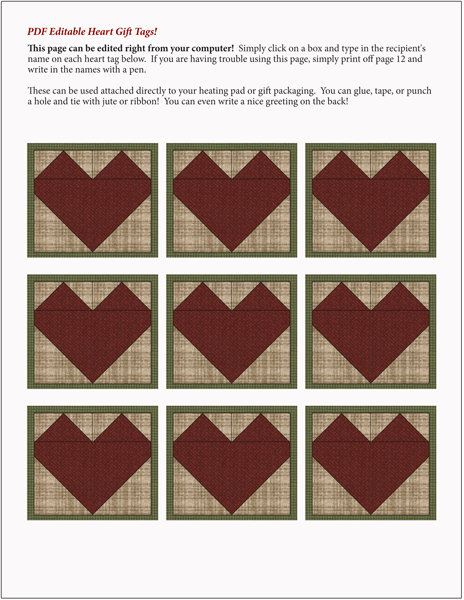 These are cute little stockings to be used as gift tags, or simply to embellish your gift. They can even be used to decorate a Christmas tree! 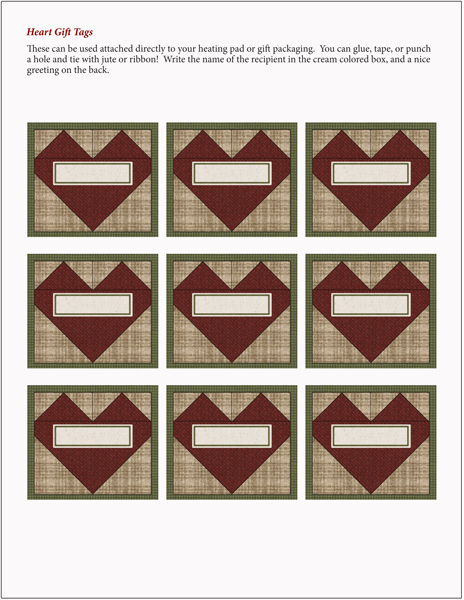 These are instruction tags to print, cut, and give along with your MATCHING heating pad! This page can be EDITED right from your computer! You can type in the names of your gift recipients right on the hearts (see pictures at the top of the page.) It's as easy as opening the document, clicking on a box, and typing in a name! 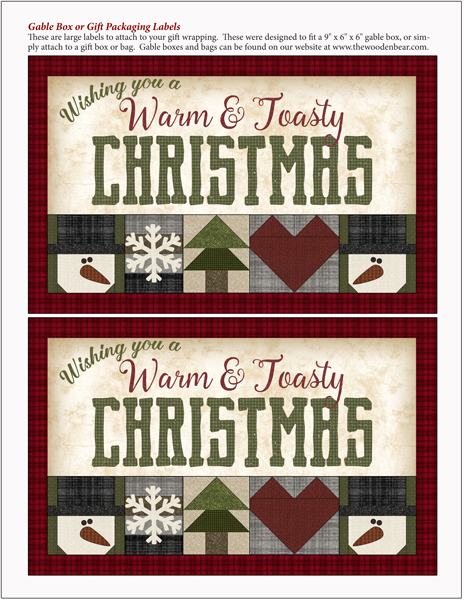 This page of gift tags can be printed, and then write in each recipient's name with a pen. We hope that you enjoy the extra goodies!